Welcome to the other end of the line. 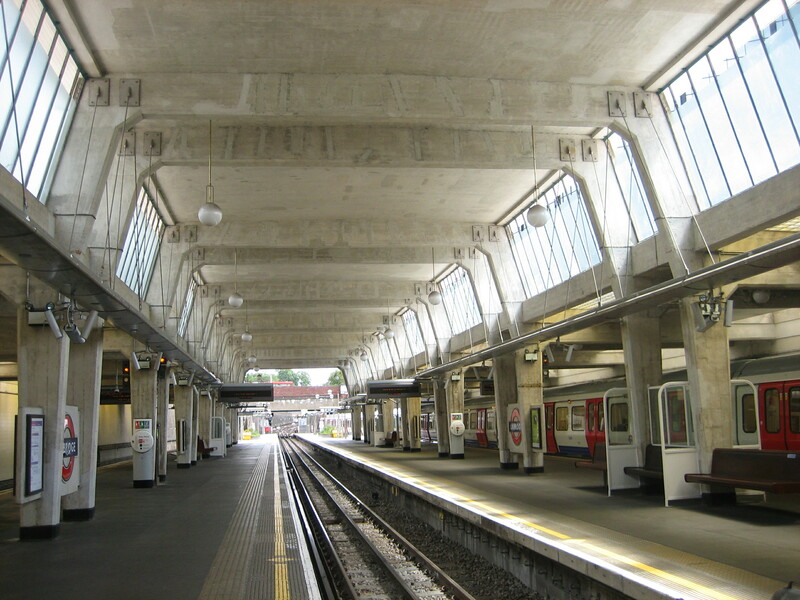 The terminus at Uxbridge was conceived and designed to mirror that at Cockfosters, so it makes sense for me to salute them sequentially. I know I’m a sappy simpleton, but I find the way these massed ranks of regal arches diminish and fade into the distance really rather special. If you can forget the bustle and sidestep the people loitering not for a train, or to meet someone, but just for the sake of it, there’s a bewitching ambience to Uxbridge station. The presence of stained glass, which I’ve already mentioned, makes the whole place feel slightly hallowed. Except nobody departs to another life, or a hole in the ground, from Uxbridge; the most they can hope for is a swift connection to Rayners Lane. Unlike Cockfosters, this isn’t the one and only station building to have existed in this location – or to be precise, in and around this location. 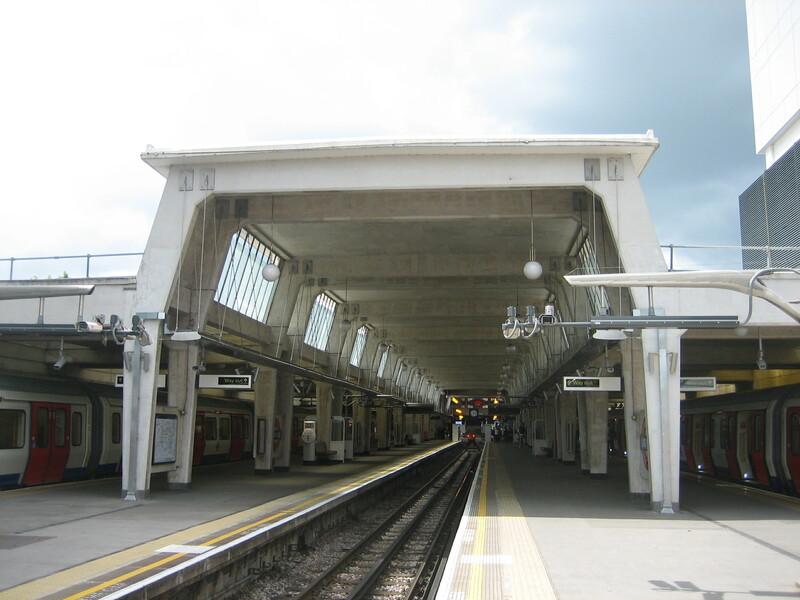 The first incarnation of Uxbridge station was opened by the Metropolitan Railway in 1904, north of where it is now. The second and current incarnation dates from 1938. Regular readers will have no trouble guessing whose estimable hands were responsible for drawing up the blueprints. 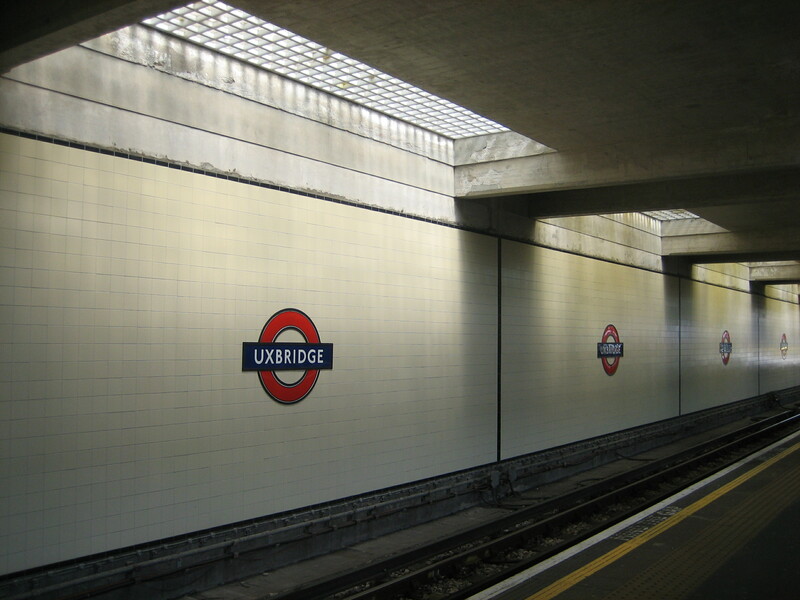 Despite being dozens of miles and countless stations apart, Uxbridge and Cockfosters help remind you what the Underground is and always should be: one network, serving one London, whose similarities are greater and stronger than what many, especially London’s one newspaper, would often have you believe. 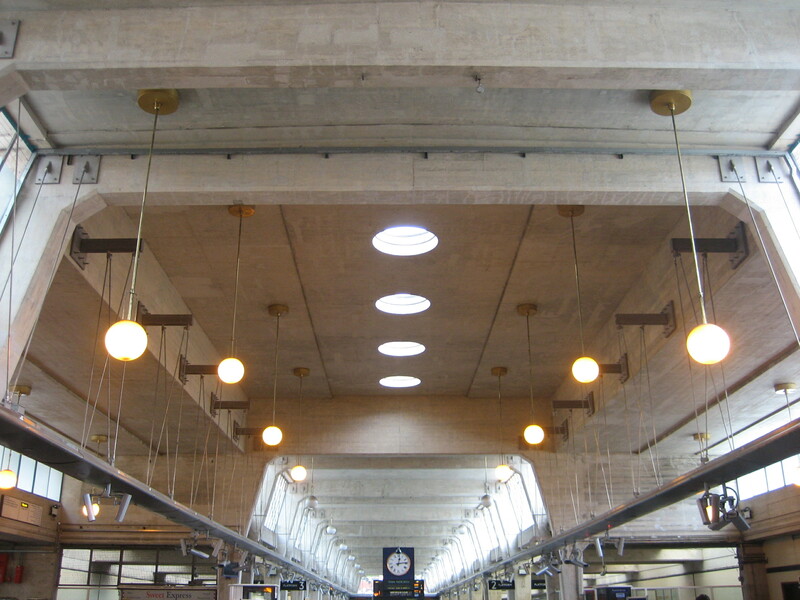 It is a beautiful station, and why not admire somewhere that you have to be anyway?